I usually wake up with little or no time in the morning, and whenever I prepare for Maia's baon, I realize that I’ve only got less than 5 minutes to do it! Also, as much as possible I want her to get all the nutrients she needs because I know that she deserves my undivided care and attention. So, what to do? Thankfully, I’ve got a well-stocked pantry with our family's favorite sandwich spreads. 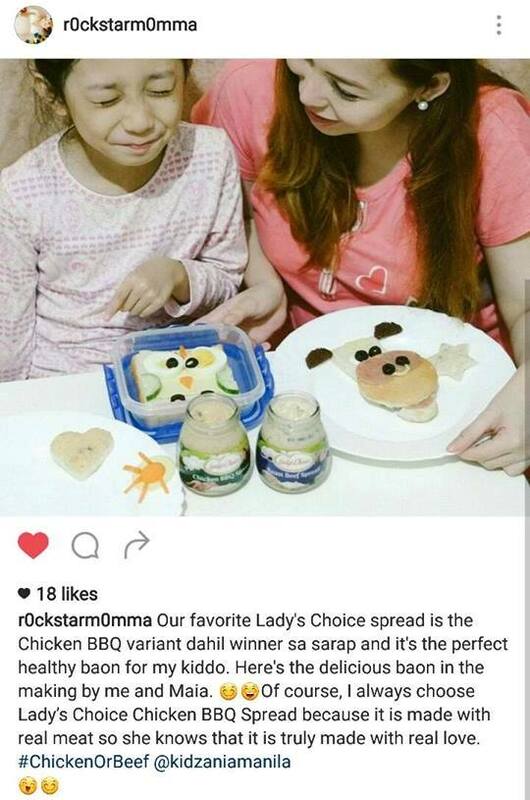 Lady’s Choice Roast Beef and Chicken BBQ sandwich spread always saves the day! Find out which which one is my favorite here. It is made with real meat so you know that it is truly made with real love. Now who wouldn’t want the best for their kids? 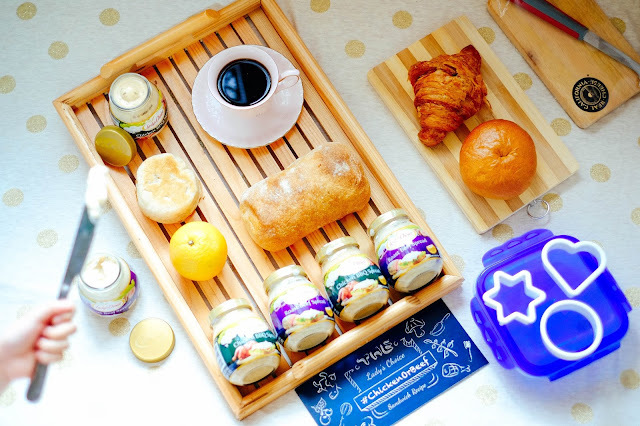 When you’ve got Lady’s Choice Spreads, you can be sure to prepare delicious packed baons that are enough to tell your kids you love them with every bite! Imagine if you could have free courtesy paZZes to KidZania Manila, as well as enjoy unique and fun-filled activities with your child, so she can experience a fun-sized city like she lives there. Well, now you can! 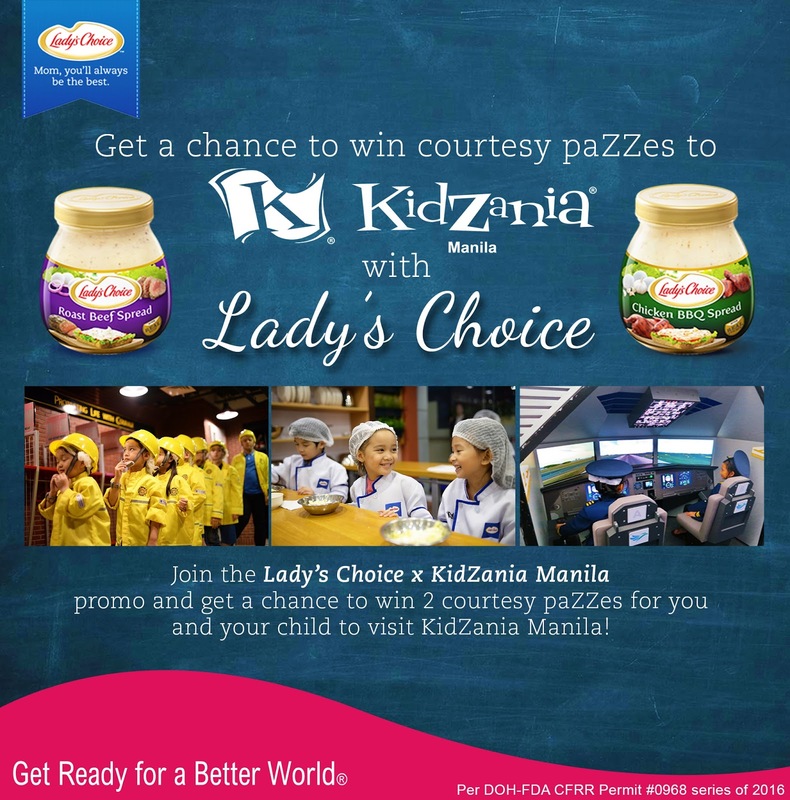 Simply join Lady’s Choice x KidZania Manila promo for a chance to win courtesy paZZes to KidZania Manila! This contest is only open to all Moms based in the Greater Manila Area (Metro Manila and parts of Laguna, Cavite, Rizal, Bulacan, Pampanga, Batangas, Tarlac and Nueva Ecija). 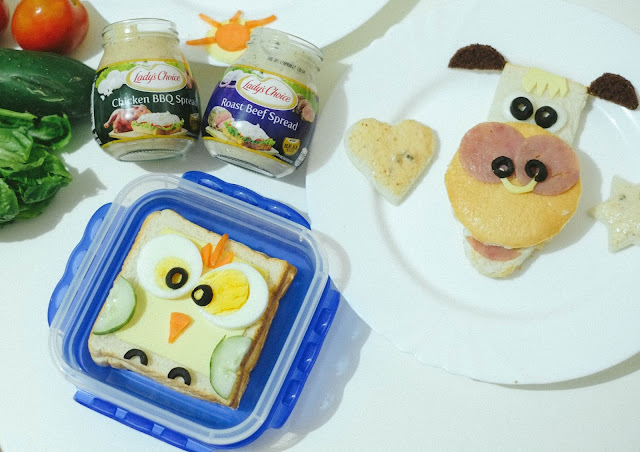 Click here for the complete contest mechanics, and if you want to know more recipes and see how you can make your kid's baon tastier and more creative using Lady’s Choice Spread, visit www.ladyschoice.com.ph. 1. To join, participants must purchase either a Lady’s Choice Roast Beef or Chicken BBQ sandwich spread and keep proof of purchase. a. A Boomerang clip OR a photo of you and your child making a Lady’s Choice sandwich. The Boomerang clip can be made through the Boomerang app, or can be a short 5-second video featuring mom & child or child alone with a Lady’s Choice sandwich they personally made. Once posted on Instagram, the entry should be linked to the participant’s Twitter and Facebook. Twitter and Facebook posts must also contain the official hashtag: #ChickenOrBeef. Participants must also tag the official Lady’s Choice Philippines / KidZania Manila account. 3. All entries posted on Instagram, linked to Twitter and Facebook must always tag the official Lady’s Choice Philippines / Kidzania Manila accounts and use the hashtag #ChickenorBeef. a. Accounts should be public for entries to be valid. • it was submitted outside of the promo period. • The top 15 (with the highest score) will win the KidZania Manila CourtesypaZZes. • Lady’s Choice Philippines’s decision in the selection and the determination of the winners is final. • Winners will be announced on the Lady’s Choice Philippines’ Facebook page on October 5, 2016. Winners will be contacted by the Spark IT team and are required to send their emails and contact numbers via private message. Winners will get 2 Courtesy paZZes for one (1) child and one (1) accompanying adult. Metro Manila and Provincial Winners will be sent digital KidZania Manila CourtesypaZZes through their emails. The winners are required to send a scanned copy of one (1) valid ID and proof of purchase before prizes will be sent. Joined. ❤️ Hope to win and experience Kidzania Manila.